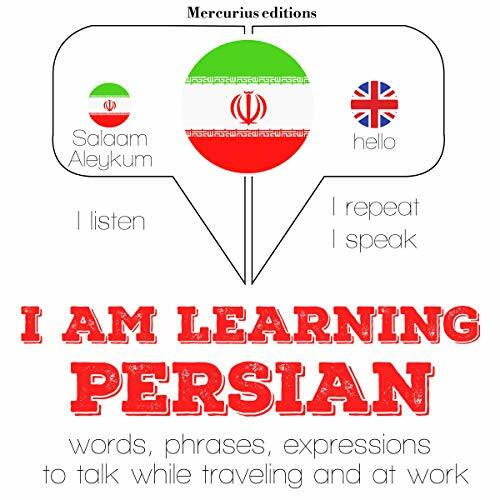 I am learning Persian: 300 essential words and phrases, 140 common expressions, the 100 most common verbs, the 1000 essential Persian words. Persian, also known as Farsi, is one of the languages within the Indo-European language family. It is primarily spoken in Iran, Afghanistan and Tajikistan. Native speakers: around 80 million ; total speakers: 120 millions. How to learn a language differently? Today, language learning is revolutionizing : you do not have to go to traditional language classes anymore. Our learning method: a selection of hundreds of phrases and essential words. You listen to them, you repeat them, and you speak. We rely on pronunciation, oral rehearsal, listening, combined with words, essential phrases, and a vocabulary list. 20% of the words are used 80% of the time. The end goal is to get a sufficient level in one language to be able to hold simple conversations, to be able to understand simple exchanges, deal with everyday life and start exploring the new culture that opens up to you.